One day Sphinx’s mother met a girl who would change her life. Her and Leigh would be friends forever and that friendship would pass on to her children. This is why when Sphinx and Cadence were 5 and he killed the butterfly, Sphinx didn’t run and hid, she just cried, and why as they grew up she felt connected to him in ways she never thought she would be connected with another. There was something about his eyes that day that ade her know he was different, he was special. On the day Cadence killed the butterfly Sphinx realised that something could be so unusual it was broken; so extraordinary that something was wrong with it. And that is why she can not leave Cadence behind now. Sometimes you start a book and you know it will be intense. You know that it will be unlike anything you have read before and that it is worth all the effort you will have to put in to understand its complex characters. Breaking Butterflies was one such book for me, it was so powerful and so heavy but I powered on through and I am so unbelievably glad I did because this book needs to be read, by everyone. The story is heavy. When I first read the blurb I wasn’t aware that Cadence was only 5 when he killed the butterfly and that the two main characters had known one another all their life. I thought it would be about falling for a guy who was unusual and had mental health problems…. not about the friendship and the feelings that are born when you have been brought up with that person all your life. This book was not about love in the usual teenage love story sense. It was about power struggles, death, mental health and the love you feel when you know that something is wrong, that it is bad for you, but you can’t help but feel it anyway. Its about fate and the way a plan mentioned before you are born can shape your life so much and can cause you to think twice about your actions. The characters are incredible and whilst Sphinx annoyed me at times, at others she was ridiculously strong and I loved that she knew where she needed to be. Cadence was an intense character and my feelings towards him were much like his personality; it was an emotional rollercoaster and it was one I didn’t want to ride for great chunks of time. The idea of having to care for someone like hi terrifies me and I don’t know how I would cope in Leigh’s shoes… but I know for a fact I couldn’t have stood by like Sphinx did… I am not as strong as that fictional character is, or at least I have never had to be! There was something about this book that captured the intensity of Cadence and his situation perfectly and it was a brilliant read because of it. It felt like a real life situation and like it could easily happen to anyone. The things that Cadence goes through with his health are possible and while they are horrible to read about, it must be so much harder to have to live through them. The only aspect of the book I didn’t like so much was the inclusion of the characters mothers’ plan and how specific it was. It added intensity to the story in that they made this plan up but how specific and how almost robotic it was that everything happened right to plan threw me off a little as it seemed so forced, I don’t believe that life can work to your own plan like that, especially when it’s something you say at 7 years old and it all sticks right down to the names of your children – also Sphinx is too much of a strange name for me and I’m wanting to name my future son after a fantasy video game character! There is a part of the book that is terrifying when Cadence confronts Sphinx about his death and it triggers something in her mind and that was awful for me to read. It scared the hell out of me and I think this book will sit uncomfortably with some people but still deserves a read. 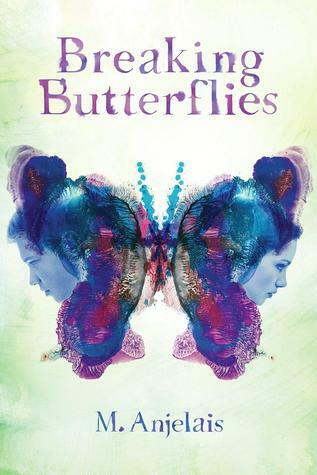 Breaking Butterflies was published on april 3rd by Chicken House books. My copy was sent to me from the publisher in exchange for an honest review as part of the books blog tour.